An egret that dances is a sight worth seeing. And the shuffling, hopping, running, and wing-spread, long-legged, two-stepping that Reddish Egrets use in their foraging must make them a contestant should there ever be an avian Dancing with the Stars. I had the great pleasure to see both color forms, more commonly called color morphs, when I was birding Merrit t Island National Wildlife Refuge during the 15th Annual Space Coast Birding and Wildlife Festival. Sure, there were Little Blue Herons, White Ibis, Roseate Spoonbills, and a host of other long-legged waders to see but the antics of Reddish Egrets were far more interesting to this New Yorker who had only ever seen a couple of Reddish Egrets before – and never the white form – at Bolsa Chica in southern California. It is no wonder that I haven’t seen many Reddish Egrets in my lifetime. There are not may in the United States – less than 2,000 pairs according to Texas Parks & Wildlife – and most of those are in Texas. It is unclear to me if their low population is because they never recovered from the plume trade which reached its apex in the United States before the beginning of the twentieth century or if they were never terribly numerous. 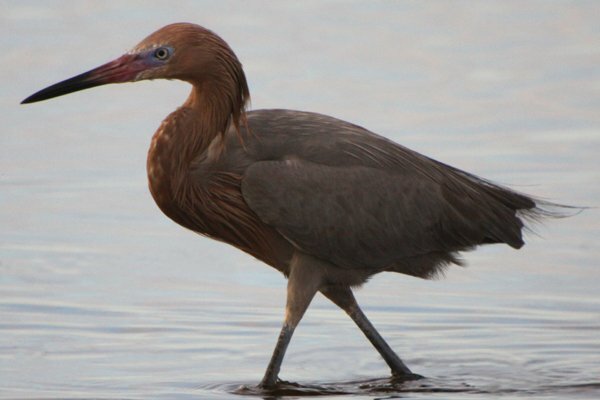 BirdLife International estimates the worldwide Reddish Egret population at 10,000 – 19,999 and lists it as Near-Threatened because “despite its large range it occupies a restricted habitat and is patchily distributed. 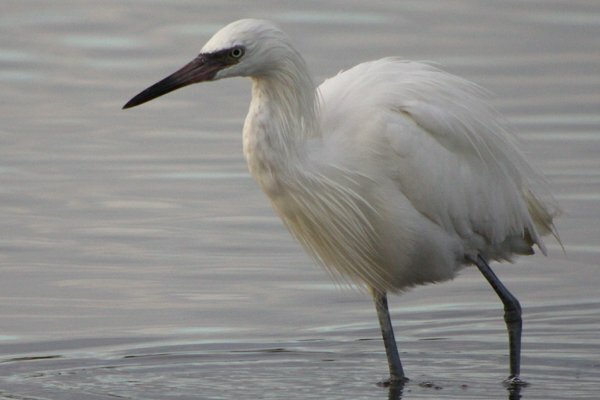 For this reason it is assumed to have a moderately small and declining global population.” Interestingly, BirdLife International also says that “Populations were heavily exploited for food in the late 19th and early 20th centuries.” Apparently the plume trade wasn’t the only reason Egretta rufescens declined! 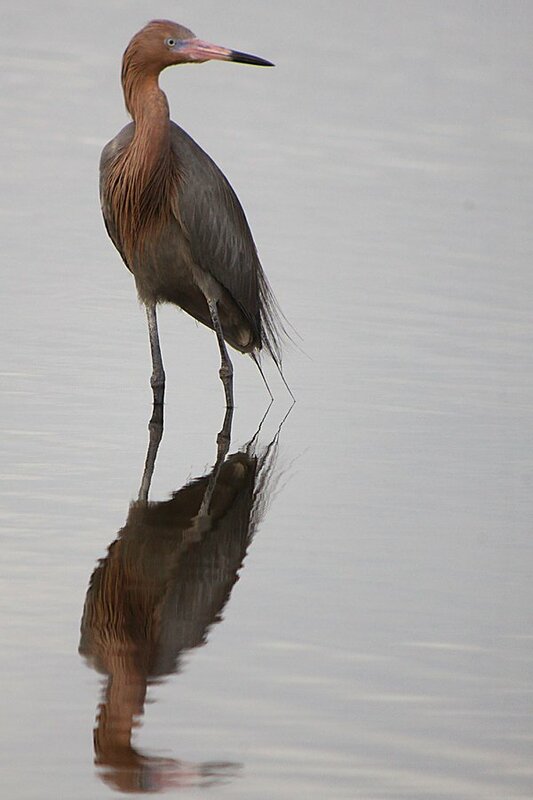 All of the images of Reddish Egret in this post were taken by me at Merritt Island National Wildlife refuge in January of 2012. Awesome shots of the Reddish Egrets. 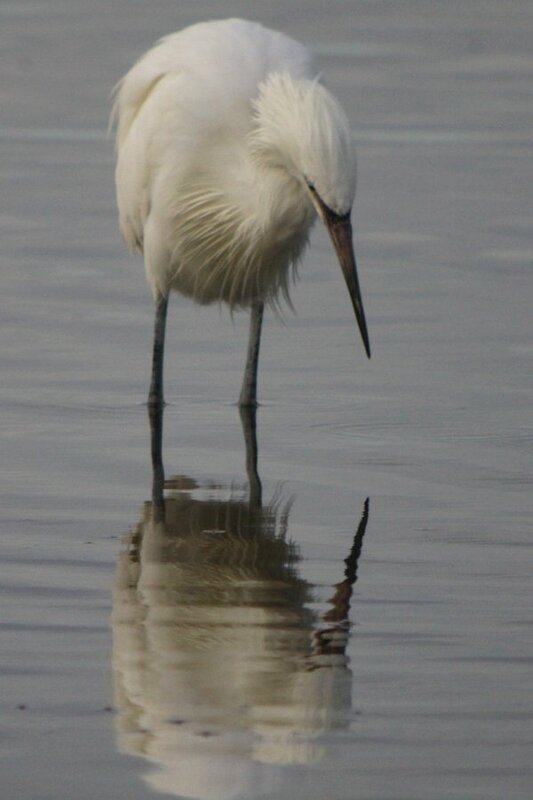 I’ve only seen one and that was at the Salton Sea in So Cal last summer. 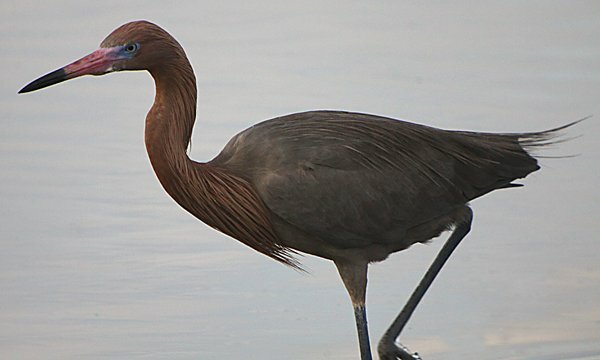 Reddish Egret is one of my favorite bird names. You know, not really red, per se, really more red-ish. @Nate: you might want to reconsider this. The name “Reddish” has nothing to do with red. Rather, it pertains to “Radish” as a reference to one of the most popular cooking recipes for its meat during the phase in which populations were heavily exploited for food in the late 19th and early 20th centuries. @Jochen- Fascinating. 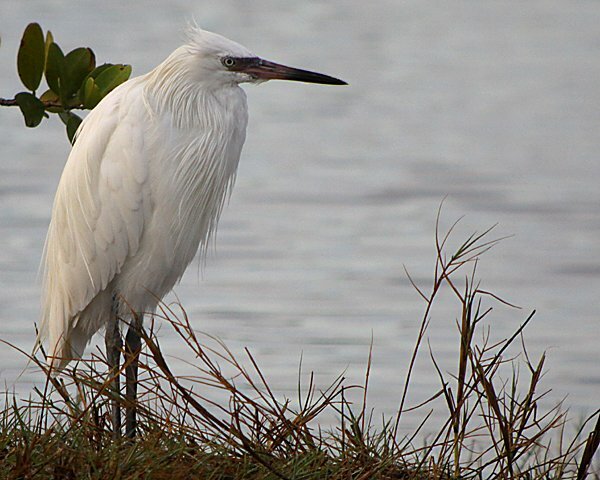 And wouldn’t you know it, in my further research I discover that the colloquial name for the species is “Ravish” Egret, a reference to how delicious the meat was, particularly with radishes.